A single platform will emerge to treat patients across the continuum of care, from low to high acuity cases, accelerating telehealth engagement. 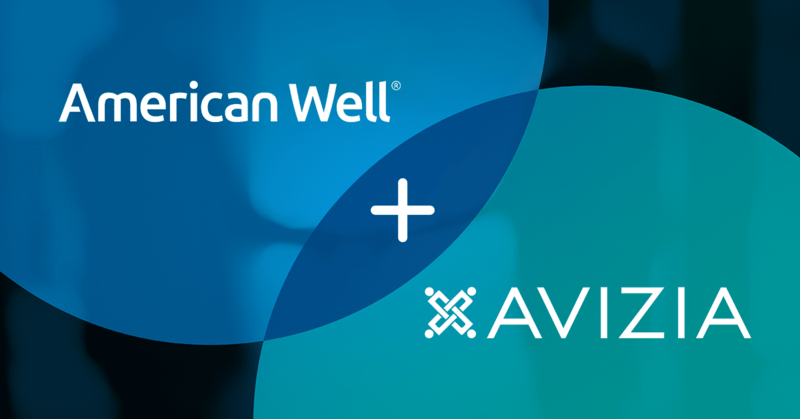 BOSTON – April 30, 2018 – American Well®, the leading U.S. telehealth provider, today announced that it has entered into a definitive agreement to acquire Avizia, a leading player in acute care telehealth. This acquisition will bring to American Well a comprehensive acute care capability, including the best in class hospital-based cart lineup and custom software workflows for more than forty clinical specialties, including telestroke and tele-behavioral health. The move will enhance options available to clients across American Well’s diverse telehealth ecosystem, including health systems, health plans, consumer aggregators, and health care service innovators, enabling clients to choose one comprehensive single platform solution. This acquisition is scheduled to close in late Q2 subject to the attainment of certain conditions. Today, Avizia powers over 1,300 hospital deployments and is a leader in comprehensive acute care telemedicine implementation for large health systems. The company has a significant global presence in over 38 countries, with strong clinical use cases across behavioral health, chronic care, stroke, pediatrics and urgent care at over 70 health systems. When added to American Well’s current list of leading U.S. hospital and health system partners, the combined telehealth platform would serve millions of patients in home and hospital settings, with the ability to extend care well beyond the walls of the hospital and envelope the patient before, during and after inpatient treatment. The comprehensive platform will also greatly enhance the provider experience, giving clinicians a single solution for treating all of their patients across the continuum of care, from low to high acuity cases. Superior software solutions coupled with purpose-built telehealth devices will support a range of hospital use cases, enabling health systems to streamline clinical workflows; manage records easily by integrating with leading EMRs; optimize physician availability and utilization; and deliver care beyond their typical geographic reach. American Well and Avizia are exhibiting at the American Telemedicine Association Annual Meeting on April 29-May 1 in Chicago. Visit booths #605 and #1005. American Well is the leading telehealth platform in the United States, connecting the nation’s largest hospitals, insurers, employers, and consumer technology companies for the purpose of delivering healthcare anywhere. Highly-rated by KLAS for “ease of use” in the 2017 Telehealth Virtual Care Platforms report,*American Well is transforming healthcare by creating a first-of-its kind telehealth marketplace, the Exchange, to deliver medical care seamlessly through technology. With its strong partnerships in the U.S. and global markets, as well as its direct-to-consumer service Amwell®, the company connects millions of people to the doctors they trust for live video visits for everything from urgent care to chronic care management and lifestyle support.